Nvidia, profoundly known in the gaming industry for their graphic cards and processors, have recently announced its very own handheld gaming console. Yes, an actual, working, for-the-markets handheld gaming console. 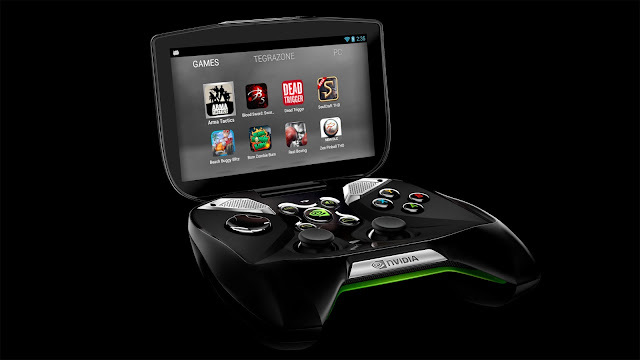 How this idea of entering the handheld console scene came about to Nvidia really surprises me. After all, handheld consoles aren't really doing at its best now isn't it? When was the last time you bought a handheld, or even seen a friend playing one? But Project Shield has loads to offer, and I can't say I'm not a little bit impressed about it. It runs on a pure Android operating system and what 'pure' means would be like the Nexus 4 and not a Galaxy S3, giving a simpler, more original feel which I personally believe is way sleeker. Naturally, Nvidia is going to use its very own Tegra 4 processor which presumably gives it the capability to power 'PC quality' games. Another determining factor on portable handhelds and mobile devices would be its battery life and with the Project Shield, Nvidia had said that its internal batteries will last for 10 hours of gaming and 24 hours of HD video playback. But what's even more interesting is its ability to stream games from a home Windows PC powered by a GeForce GTX 650 (or higher) onto the handheld console via Wi-Fi. This feature could in particularly be used with the Steam library and with the recently announced Steam Big Picture, this could work brilliantly.